MULTIPLASTICS (Europe) LTD. was established in 1989 as the European distribution arm for MULTI-PLASTICS, INC., who are a manufacturer and converter of filmic products based in America. 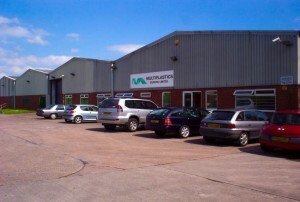 From our facility in Northwich, we supply the U.K., Europe, and other worldwide destinations. We provide rolls of unsupported thin gauge plastic films to the envelope, carton, label, print, and food industries. MULTIPLASTICS (Europe) is proud to partner with premier manufacturers to distribute the highest quality products and offer innovative solutions. Product Managers for each of these industries have extensive market knowledge to help ensure your satisfaction and provide solutions to your challenges. MULTIPLASTICS (Europe) LTD. U.K. site is fully compliant with the latest BRC and ISO standards in order to ensure our supply is of the highest quality possible.